Cholangiocarcinoma is one of the most difficult malignancies to cure. An important prognostic factor is metastasis, which precludes curative surgical resection. Recent evidence shows that capsaicin has an inhibitory effect on cancer cell migration and invasion. Here, we investigated the molecular mechanism of the capsaicin-induced anti-migration and anti-invasion effects on HuCCT1 cholangiocarcinoma cells. Migration and invasion were significantly reduced in response to capsaicin. Capsaicin also inhibited the expression of matrix metalloproteinase-9 (MMP-9). In capsaicin-treated cells, levels of phosphorylated AMPK increased, and this effect was abolished by treatment with the AMPK inhibitor, Compound C. Capsaicin enhanced the expression of SIRT1, which can activate the transcription factor NF-κB by deacetylation. This suggests that NF-κB is activated by capsaicin via the SIRT1 pathway. In addition, capsaicin-activated AMPK induced the phosphorylation of IκBα and nuclear localization of NF-κB p65. Chromatin immunoprecipitation assays demonstrated that capsaicin reduced MMP-9 transcription by inhibiting NF-κB p65 translocation and deacetylation via SIRT1. 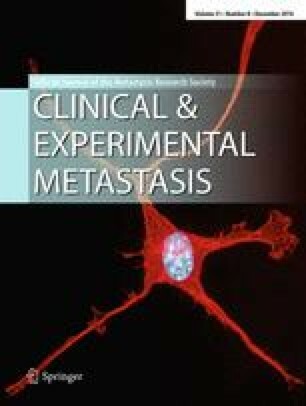 These findings provide evidence that capsaicin suppresses the migration and invasion of cholangiocarcinoma cells by inhibiting NF-κB p65 via the AMPK–SIRT1 and the AMPK–IκBα signaling pathways, leading to subsequent suppression of MMP-9 expression. The online version of this article (doi: 10.1007/s10585-014-9678-x) contains supplementary material, which is available to authorized users. This work was supported by Priority Research Center Program (2009-0094050) and Basic Research Program (2013R1A1A4A01009559) through the National Research Foundation of Korea (NRF) funded by the Ministry of Education, Science and Technology. D-J. Yoon, A-R. Kim is supported by the BK-21 Fund.